A group of friends and I started a model rocket group in the late 1950s at the time of the first satellites being launched into space. We used to build these in my father’s garage when we lived in Hangleton. I was about 14 or 15 years at the time. We built a rocket and decided that we needed some public relations for the launch, so we went down to The Evening Argus, and spoke to a reporter. Subsequently an article was published; unfortunately, the reporter, using the usual journalistic licence, stated we were proposing to send up a live mouse. This caused an uproar and the RSPCA got involved; they were only satisfied when we denied the journalist’s claims. Not long after this we had British Movietone News on the phone wanting to come down and cover the launch for the cinema newsreels. They duly came down and made a short film of our exploits in rocketry, which culminated with the rocket exploding on the launch pad. Of course this was a feat emulated by many American and Russian rockets in the early days. 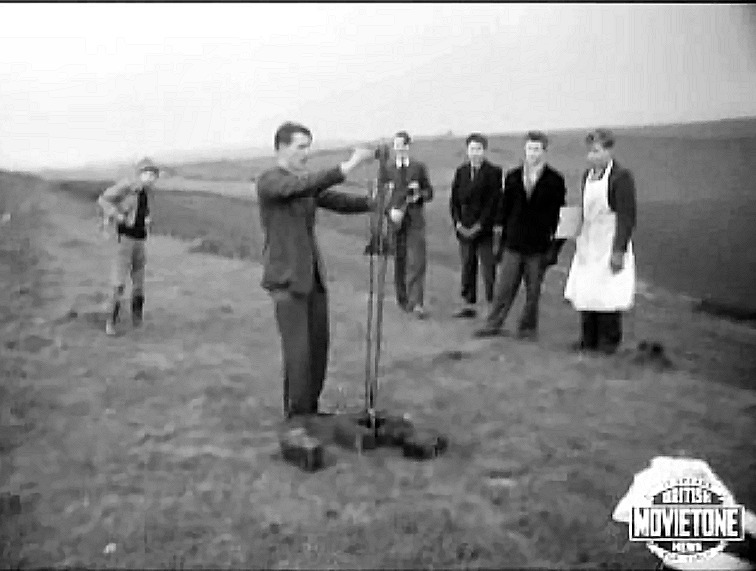 The clip is archived here on the Movietone News site: search for the newsreel entitled Rocket Boys. We went on to form the Brighton and Hove Amateur Rocket Club which was a much bigger group which had ideas of setting a new world record for altitude for a model rocket. We built a large rocket which was about 9 ft tall, but we were unable to launch this due to bad weather, and space restrictions. We subsequently found out we would have probably got into a lot of trouble had the launch of the large rocket taken place. Health and safety was not an issue in those days, and of course the restrictions on manufacturing explosive rocket propellants were not so strict, terrorism as we know it today was virtually non existent. As you might say, ‘Boys will be boys’. Fantastic, Gary! It’s a wonder you’re still here! Which one were you in the film? Hi Gary, Looks like you 4th from right in main group. Is that Nick Garbut in the apron? Kind Regards.